Thoughts after six months in L.A.
I’ve been resisting writing a post like this, knowing that much of the eastern U.S. has been repeatedly hammered with snowstorms this winter. So if you’re housebound and don’t want to hear about L.A., then click away because SPOILER ALERT it’s been really, really nice here this winter. 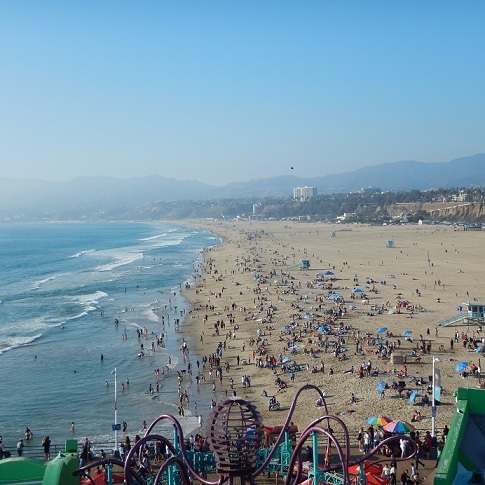 We spent President’s Day at the Santa Monica Pier. NOTE to all of our family from Massachusetts and Wisconsin who are visiting us in the spring instead: Why??? Why aren’t you here NOW? Only you can answer that question. L.A. drivers are by and large quite skilled and very decent to one another. It’s true! Put a turn signal on, and at least eight or nine times out of ten, someone in the next lane will immediately yield and let you in. Another observation in favor of L.A. drivers: in spite of the traffic, NO ONE DRIVES IN THE BREAKDOWN LANE! This is a miracle, speaking as someone who used to live and drive in the Boston area. For realz. Related observation: when you see signs indicating that you’re losing a lane, people don’t drive up as far and as fast as they can and THEN merge; they tend to merge promptly and obediently, so YAY! L.A. drivers, I LOVE YOU! L.A. car culture is a thing. People here drive really nice cars. This weekend, I saw a Lamborghini, a Porsche, and a Mazerati in seriatum turn into a shopping center right next to me. (It was Orange County, FWIW.) People in Pasadena seem partial to the Tesla and the BMW (and the Porsche Cayenne, which is a “crossover” vehicle that looks like everyone else’s “crossover!” Come on. If you buy a Porsche, get something that looks like a Porsche, not something that looks like your carpool ride). Even the normal, not-insanely-expensive depreciating assets are really clean and well-maintained. WTF is it with all of the helicopters in the sky, all day long? Helicopters over the San Gabriel Valley, helicopters especially at the beach. Police helicopters! It’s like Baltimore after dark, ca. 1993 or something with all of the L.A.P.D. helicopters trolling up and down the beach. Again, I ask: WTF? How is this effective policing of anything? 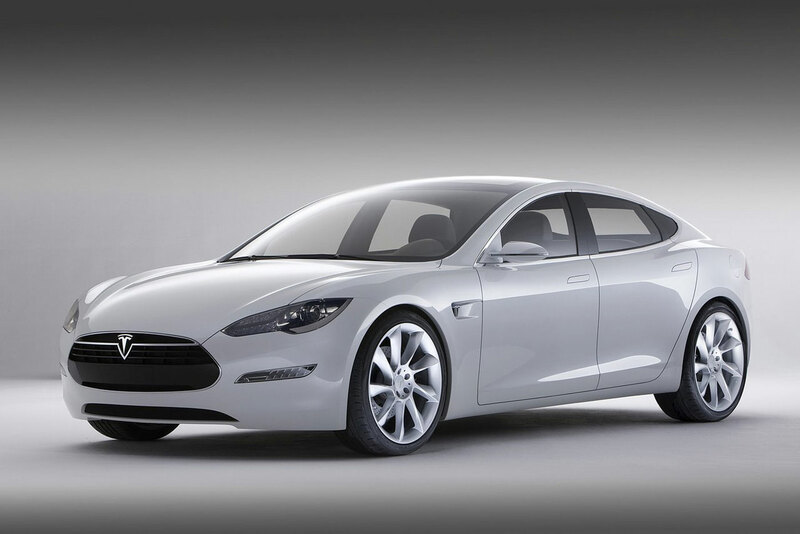 Is it just me, or does the Tesla sedan look almost exactly like the Hyundai Elantra? I’m not sayin’, I’m just sayin’. Compare below. Let me know if you’d like to order the stylized T hood ornament to pop on over the H on your car. I can get you a five-finger-plus-a-screwdriver discount! ← I bleg your pardon: tips for moving onward and upward? All cars look like all other cars these days, to me anyway. That’s why I’m moving to Cuba as soon as possible. On the helicopters, I would have thought drones would be the new ride in that layer. What I loved when I was out there, and I walked over to the library, gardens, and art galleries most days, was to get up in the morning and hear the traffic reports. Not only could they specify exactly where some obstacle or debris was on which interstate, they could tell you the size of the box spring that had fallen off of a pick up truck, the make and year of the television console that was blocking the off ramp, or the exact number of Welsh Corgis that were scampering around on the median. The specificity was as remarkable as the lack of apparent reason for any of it. They must have had drones even back in the mid-90s. Since I didn’t have to drive through that stuff, it was like listening to a Mario Vargas Llosa-imagined soap opera each day. We really are getting worked over by these storm systems. Just enjoy, and don’t worry about us. Don’t overdose on LA drivers. Go to San Diego or the Bay area, but don’t forget your Prozac. LA freeways were jammed 30 years ago, what happens now? Old people have the luxury of staying home for days on. What snow? Do you mean the white drops coming down I see from my window? We don’t have much winter left though. Palo Alto, La Jolla and Encinitas are occupied by Tesla. It’s a benevolent military. Great that you had the opportunity to stay in Jerry Brown’s state and enjoy it. Lived there on Jerry’s first round and hope to live there again on Jerry’s 2nd. I’d echo Indyanna – what struck me when I spent a year in Paradise/Pasadena was that the radio rarely gave weather reports, but there were detailed traffic reports, which presumed an intimate acquaintance with the freeways. Very different from New England, where we got obsessive weather reports and only sporadic traffic ones. The drought is good for LA. drivers. Don’t go on the road if it sprinkles. I was there for a week in January. It was heaven. I should have tried to find a job in a t-shirt shop or something and just stayed. Yep, people in LA are used to driving and being in traffic, by and large. It makes a lot more sense to have an expensive car (if you can afford such things) in an area where it doesn’t snow and get salted a lot, because sliding into stuff and corroding from salt would be especially frustrating in a new Porsche! I was laughing all the way through this post. So true! I grew up and learned to drive in Boston and now live near LA and I can vouch for every one of Historiann’s points. One example of the drivers here. Some years ago I decided I had to learn how to use a cell phone and drive, like real people. Long story short: I found myself in the middle of a big intersection, three lanes in each direction all full of cars and trucks, driving through a red light. (I am not good at multitasking.) Everybody in all those lanes just waited till I woke up. Nobody even honked. About the weather: SoCal and the rest of the country are actually related. The high parked over us is stabilized by the polar vortex over the Midwest (which also KOs the East). Their nasty weather and our drought are both due to warmer-than-normal Arctic conditions oscillating much further south than we’re used to. Some winters, Europe has been harder hit, sometimes Asia (in which case it doesn’t make the news because Siberia), and often enough, it’s us. I guess we should start calling it Climate Roulette. Just to expand on Bardiac, if you spend a couple of hours a day in a car, comfort becomes much more important. I’d be happy to do my 15 minute drive to work in a Smart, but would be less sure if it were an hour each way. Nicoleandmaggie are right about the rain, which can be hazardous. But I still give the mad props to L.A. vs. Colorado drivers. CO drivers can handle snow & leave assured clear distance & slow down appropriately, but when it rains, they’re a nightmare. They neither understand nor anticipate the concept of hydroplaning. Even without the ice and snow, I find the conspicuous consumption on luxury cars mostly insane. Depreciating assets, people! What are you thinking? My slightly dented and scratched used silver Prius is as comfortable as it needs to be. I miss Pasadena and Altadena. They were lovely places to visit, but absolutely unaffordable even if I could translate my present salary into US dollars. . . .
Well, but there is salt if you live close enough to the coast . . . one reason people insist on washing their expensive cars even though DROUGHT. Have you witnessed a freeway driver do a 3-4 lane drift yet? I find it simultaneously terrifying and beautiful. Oh, yes–that’s a good description: terrifying and beautiful! I love/miss California car culture. Yes, there is a weird thing in LA about luxury cars and status cars (the Prius sold out in LA in its first model year, mainly to movie stars and producers). But there is also a really cool car culture made by ordinary people. Working class guys will get their cars washed on Saturday and then drive them to the public park and wax them in the shade. There are also all the sub-cultures for classic cars, low-riders, hot rods and racing (especially drag racing and auto cross). Notorious, a well executed 4 lane drift is a beautiful thing to behold. Same thing with the LA head fake, which you do when the 1 out of 10 don’t let you merge. I’ve lived in L.A for the last 20 years. The traffic is horrible and if people are yielding to you it’s because they think they have no choice to avoid an accident or they are not paying attention. The people here are rude. The drivers are horrible. It has been ranked the most unfriendly city for a reason. We need rain, like yesterday. There is a reassuring (not constant, but still reassuring) level of civilization among most, not all, drivers here; and the state is Democratic. Maybe it’s because I’m on sabbatical & am experiencing possibly clinically concerning low levels of blood pressure, but I’d say the a-hole proportion of the population is pretty low. Maybe it’s because I don’t have to drive every day, too. I have to drive to Irvine tomorrow in rush-hour traffic, so I might be open to revising my opinion! In 2015, there’s still insane amounts of helicopter traffic in Baltimore. No place else I’ve lived, including Chicago, comes close the amount and duration of low flying helicopters that Baltimore ‘boasts’. FWIW… My (Wisconsinite) Mom’s logic about visiting my Californian grandparents was that, if you went for Christmas, it would be lovely and then you would go home, realize that you had 3 months of winter left, and feel miserable; but if you went for Easter the weather there would be lovely and you would come back knowing that you are almost done. I drove east on The 210 (using the definite article for highways is definitely a trademark West Coast practice) for a talk at U.C. Riverside on the cusp of the Memorial Day weekend the year I was out there, and I was literally driving in a river of big trucks on all sides. It was somewhere between terrifying and hallucinogenic. If one of those guys had done a “3-4 lane drift” it would have been chaos. The visit was great, but I don’t even remember the drive back to Pasadena. Hidden in there is the real secret to what can make this city so pleasant and livable–not driving! I didn’t fall in love with Los Angeles until I got out of the car and started walking, biking and taking the train. Riding the bus still blows most of the time because it too gets stuck in traffic. Another bonus to ditching the car: no worries about parking!!! Everyone here is so obsessed about parking. It’s all “can I validate your parking for you? Did you get your parking validated?” Whatever. I walked! My bike’s out front! I’m still here! FWIW, I rather like the looks of the Cayenne. (But then I also really like the Subaru XV Crosstrek, which many people seem to find ugly.) I’m in the market for a small crossover SUV soon, and if I could afford a Porsche, that might be my choice. Besides, once you’re inside a luxury car, who cares what it looks like from the outside? Speaking of no cars, have you been to a cicLAvia yet? There is one in the Valley in a few weeks and one in Pasadena at the end of May. ~6 miles of mostly uninterrupted car-free streets! I am always struck by the relative silence of streets with no cars and a lot of people biking and walking. Thanks for the reminder, Mandor! Dang–the Pasadena ride is on the last day of my college reunion. So sorry I’ll miss it.